Over the past several years exhibitions such as American Masters have introduced many western artists to Salmagundi, a good number of whom have become part of our artistic fellowship. Not many people realize though, that Salmagundi artists helped to establish the western art tradition during the late-ninteenth and early twentieth centuries. These artists began their careers in the east, making seasonal sojourns out west before finally settling there. The connection between Salmagundi and its influence on some of the the western art colonies is still little understood and demands greater exploration. For instance, all of the founding members of the Taos Society of Artists — Oscar Berninghaus, Ernest Blumenschein, E. Irving Couse, William H. Dunton, Bert Phillips and Joseph H. Sharp, as well as E. Martin Hennings, Julius Rolshoven and Walter Ufer were Salmagundians. Also to be considered are artists such as Thomas Moran (our fourth president), Carl Rungius, W. R. Leigh and Sydney M. Lawrence who travelled more widely. A great many of the major California painters were also Club members including such names as Edgar Payne, William Ritschel, Alson S. Clark, Guy Rose, Jack Wilkinson Smith, George Gardner Symons, Maurice Braun, Carl Oscar Borg, Colin Campbell Cooper, Armin Hansen, Charles Rollo Peters and Maynard Dixon. Included in this last group is the artist Charles Reiffel. Early last year I had some communications regarding Charles Reiffel, a Club member from 1919-c.1927, with Keith Colestock, the primary historian on the artist. He was conducting research to assist the curators of a major retrospective of the artist which was held at the San Diego Museum of Art and ran from November 2012-February 2013. The art critic for the L.A. Times after visiting the exhibition, wrote a very flattering review in which he called Reiffel “the best early American modernist that nobody has heard of”. 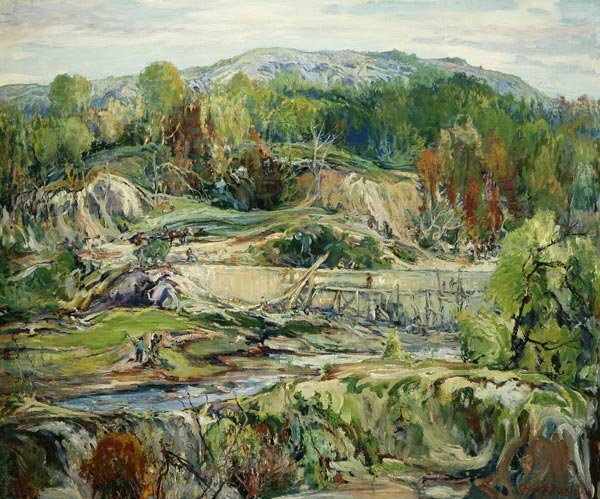 Before leaving for California in 1925, Charles Reiffel had established a strong reputation on the east coast, becoming one of the founders and President of the Silvermine Guild of Artists in New Canaan, CT. His rise to success here and subsequent decline to poverty and anonymity on the west coast is a story worth telling. Yet through it all he remained true to himself as an artist. The fact that he has risen like a phoenix to become a highly collected California artist, with a sales record just shy of $400,000 attests to the enduring quality of his output. 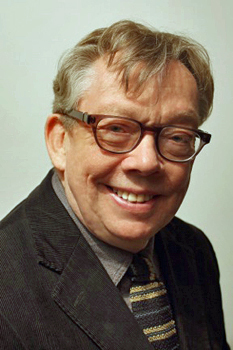 On Saturday, September 28, 2013, the curator of the exhibition, Bram Dijkstra, professor emeritus of American and Comparative Literature at the University of California, San Diego, will be giving a talk on Charles Reiffel at the New Canaan Historical Society from 4:00-6:00 pm. The Society is located at 13 Oenoke Ridge, New Canaan, CT 06840 (www.nchistory.org). 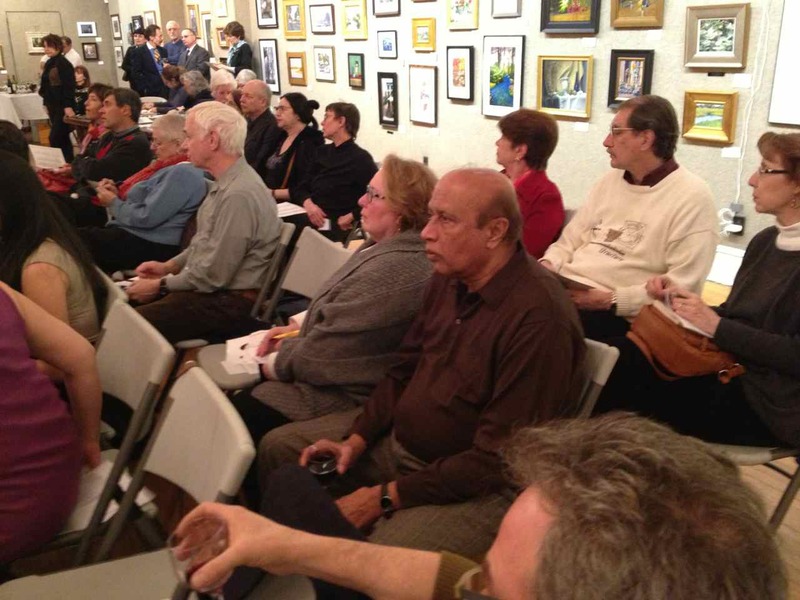 While at the Historical Society, visitors may also explore the Rogers Studio and Museum where sculptor John Rogers (1829-1904) worked in his later years when the Salmagundi Club occupied his home at 14 West 12th Street. If you are interested in attending this lecture please email bobmueller@nyc.rr.com before Sept 10th to reserve. Tickets are $15 and seating is limited, hence the early deadline. Regular scheduled train service to and from New Canaan is available via Metro North from Grand Central Terminal. It is a great honor to announce my election by the Board of Governors as president of Pastel Society of America. Rae Smith, PSA announced her retirement in January from the Board of Governors and the office of president. Also retiring from the Board of Governors is Brenda Tribush, PSA, who served on the board since 1996. As treasurer of PSA since 2007, I worked closely with Rae concerning all aspects of the administrative and public duties of the president. An announcement about the appointment of the new treasurer will be forthcoming soon. I am honored to be asked to carry on the traditions initiated by Flora Giffuni, my friend and mentor, who founded PSA forty-one years ago. It will be my pleasure to share my enthusiasm for pastel as a premier and historic medium not only with my fellow PSA members, but with all pastel artists, societies, educators, gallerists, museum professionals, patrons, members of the art writing and publishing world, as well as with the international manufacturers and retailers who provide pastelists around the world with the highest quality pigments. If any PSA members — especially those who live in or near NYC — have energy left over after a day in the studio and have skill writing, editing, designing a Filemaker Pro database or Excel specialty doing spreadsheets, are a professional grade computer and web maven, or are willing to assist in hanging the Annual exhibition or stuffing envelopes, please drop me an email care of the PSA office. It’s going to take an army of workers to replace the energy and dedication to PSA expended by Rae and Brenda. I look forward to working with each and every one of you. Salmagundians were privileged this past May to enjoy a workshop and demonstration by longtime member Sherrie McGraw. Scheduled during the run of the American Masters Exhibit in the Main Gallery and her own exhibition in the Patron’s Gallery, the product of this oil demonstration was given to SCNY to be sold to benefit the club’s multi-year restoration fund. Sherrie’s painting, The Brass Pot (20″ x 16″), is currently on display at Salmagundi and carries a price tag of $21,500. Inquiries can be directed to Chris Nunnally. CONVERGE, Where Classical & Contemporary Art Collide, a significant group exhibition featuring 47 works by 31 contemporary representational artists and curated by former American Artist Magazine senior editor Allison Malafronte, includes an impressive painting by Salmagundi artist Kevin McEvoy. McEvoy’s piece, Prisoners, comes out of an ongoing body of work started while volunteering at the Suffolk County, New York, jail in Riverhead, Long Island. 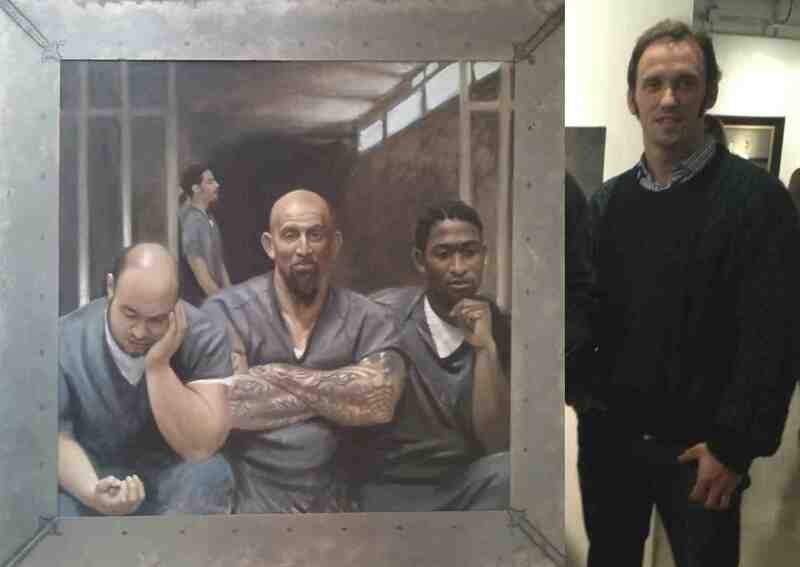 A classically trained artist who works in oil, Kevin’s efforts to teach inmates at the prison to draw and paint have already caught the attention of local and national media. The membership of Salmagundi was well represented at the show’s opening as evidenced by photos taken by Mitch Kahn and Tim Newton. CONVERGE hangs through November 27th at the 25CPW Gallery, located at 25 Central Park West, corner of 62nd Street, on Manhattan’s Upper Westside and can be viewed online. Click HERE for exhibition website. (Click on first thumbnail to open photo gallery in full frame and use rollover arrows to continue). 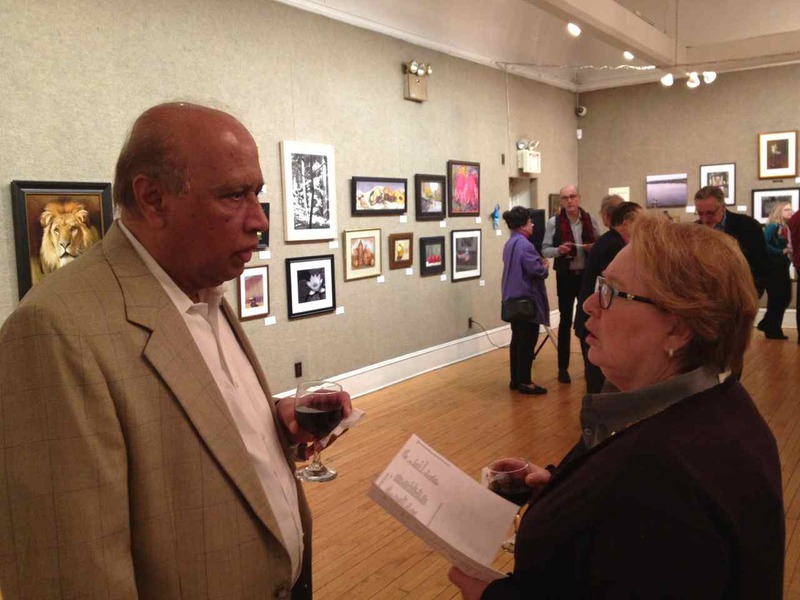 Mohammed and Bonnie Yousuf with Mitch Kahn. Eloise Morehouse and Tim Newton. Exhibition Curator Allison Malafronte with Lea Wight. Kevin and Margaret McEvoy with Ryan Mellody. Kevin and Margaret McEvoy with Elizabeth Spencer. L-R: Eloise Morehouse, Roger Rossi, John Morehouse, Kevin McEvoy.